Music scholarships are available for deserving music majors, minors and participants. To be eligible for a music scholarship, students must fill out the scholarship and audition form below and audition. 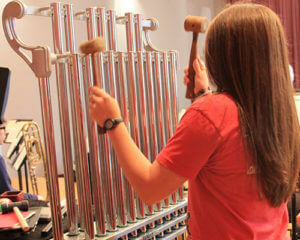 Admission to St. Mary’s University as a Music major or Music minor requires an audition. Annually, there are three Saturday audition dates published. If an interested student is not able to make one of those established dates, they may request to do an audition at another time throughout the year or, for those who live a distance away from campus, audition via Skye or videophone. Participants are always welcome to be involved in the Department of Music ensembles. The ensemble director may request an interested participant (non-major, non-minor) audition before being accepted into a specific ensemble. 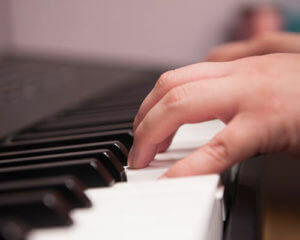 For the audition, applicants should prepare two selections of music. The repertoire should feature contrasting styles to demonstrate the student’s highest level musicianship. Audition dates for Spring 2019 have passed. Students interested in scheduling a private audition should contact the Department of Music at eortega@stmarytx.edu. Parking: To view visitor parking options, visit the Campus Map. Food: On campus dining options include, Chick-fil-A, the Diamondback Cafe and Subway. Students can also visit Starbucks, the P.O.D. Express, and the University Bookstore for a quick snack or beverage. Optional - List any additional instruments you play. Have you taken the SAT or ACT? Check all that apply. I have not taken the ACT or SAT. Example: Accompanying a choir, school musicals, singing in church choir, playing in a jazz ensemble or rock band, composing music, etc. Example: Region or All-State band, choir, orchestra, UIL contest ratings, other competitions. I am not interested in receiving a degree in music. Yes, I have applied and have been accepted. The semester and year you expect to start college. Saturday, Dec. 1, 2018 at 10 a.m.
Saturday, Feb. 2, 2019 at 10 a.m.
Saturday, March 2, 2019 at 10 a.m. Check your preferred audition date above.